Bhuwal Cables are the leading manufacturer of High mast rubber cables. Rubber Cable. 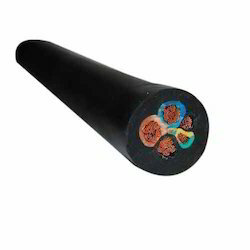 Our offered cable is made from industry grade materials like Chlorosulphonated Polyethylene (CSP), Nitrile Rubber/PVC blends, Ethylene Propylene Rubber (EPR), Ethylene Vinyl Acetate (EVA) and Silicone, employing latest technology by our vendors in order to match the prevailing standards of the industry. PTFE Coated Hook Up Wire. The best quality of raw material in a perfect ratio is used to manufacture our offered cables. These cables are precisely tested for tested conductivity, tensile strength by our dexterous professional which helped us to come up with such distinct range. These cables are available in full range of sizes and shapes at industry-leading prices. Range available: In solid colours (0-9) & beyond. We bring to clients a comprehensive range of TRS Insulated Cables that include electrical and electromechanical welding cables. These Welding Cables are manufactured using various electrometric materials that we procure from reputed vendors. We offer Welding Cables in accordance to the CE specifications and international parameters. With the assistance of the trained manufacturing and exporting team, our firm is chief in providing qualitative Butyl Rubber Cables. Highly advanced machineries along with best quality raw materials are used to manufacture these rubber cables. 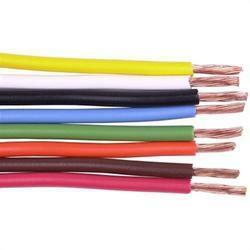 These rubber cables are tested and supervised by experts to check the quality. These rubber cables are provided in comprehensive rates to our clients along with the customized services within their deadline. Our company is proficient in excellent quality exporting and manufacturing EPDM Cables. The expert manufacturing team use latest technology tools and machineries and qualitative resources to offer these cables. Then these cables are analyzed for superiority by a trained team before the delivery procedure. Our customers are provided with these cables at industry rates with their mentioned specifications. Controlling standard quality in manufacturing of Flexible Rubber Cables is most important part for us. Included in the range of our cable products are these supreme quality flexible rubber cables also. We are manufacturing, supplying and exporting these world class flexible cables at a much wider extent. Our flexible rubber cables are manufactured using one of the supreme quality rubber for the outer coating which is extremely flexible along with heat resistant and also can tolerate adverse atmospheric conditions. These flexible rubber cables are widely being used in several industrial and domestic requirements and are very efficient and reliable. We are a leading manufacturer and supplier of High Mast 5 Core Cable. We BHUWAL CABLES With the assistance of our expert manufacturing and exporting units, our firm offers best quality Neoprene Cables. These cables are produced using most advanced techniques and optimum quality raw materials. These cables are supervised by the experts to guarantee its quality before the delivery process. We provide these cables at market leading rates along with personalized services. Our patrons can avail an extensive range of composite rubber cables. This range of rubber cables is developed by utilizing the premium grade rubber, copper and aluminum, at authentic vendors base. In addition to this, these composite rubber cables are widely utilized in several industrial sectors of power, control and instrumentation wiring. We BHUWAL CABLES Our range of Rubber Cables is manufactured using elastomer material such as ethylene propylene rubber (EPR), polychloroprene (PCP), chloro-sulphoneted polyethelene (CSP), nitrile rubber/PVC blends and silicon to assure resistance against heat, oil and fire. We have also developed elastomeric fire survival cables for control, power, and instrumentation wiring. Elastomeric compounds for sheathing and insulating of cables are designed to meet the requirements of IS 6380, BS 6899, IEC 60502, and other international specification. We introduce ourselves as one of the noted manufacturer, exporter and supplier of PTFE wire . The best quality of raw material in a perfect ratio is used to manufacture our offered cables. These cables are precisely tested for tested conductivity, tensile strength by our dexterous professional which helped us to come up with such distinct range. These cables are available in full range of sizes and shapes at industry-leading prices. Excellent flex life and totally unaffected by out doors exposure for unlimited period. We introduce ourselves as one of the noted manufacturer, trader, exporter and supplier of Rubber Cables As Per Is . The best quality of raw material in a perfect ratio is used to manufacture our offered cables. These cables are precisely tested for tested conductivity, tensile strength by our dexterous professional which helped us to come up with such distinct range. These cables are available in full range of sizes and shapes at industry-leading prices. OR AS PER CUSTOMERS REQIOREMENTS WE CAN MANUFACTURE THE SAME . Our company “Bhuwal cables” is India’s renowned Manufacturer and Exporters of a wide range of Elastomeric Cables (Rubber Cables). We have more than 55 years of vast experience in Cables and Wires. We are recognized as one of the major manufacturers and suppliers of an extensive range of Rubber Wires and Cables. We use superior quality raw material and sophisticated technologies in manufacturing these cables and wires. These are available in various sizes, thickness and length. We offer these products to our customers at reasonable price range along with best services on time. We introduce ourselves as one of the noted manufacturer,exporter and supplier of PTFE wire . The best quality of raw material in a perfect ratio is used to manufacture our offered cables. These cables are precisely tested for tested conductivity, tensile strength by our dexterous professional which helped us to come up with such distinct range. These cables are available in full range of sizes and shapes at industry-leading prices. We introduce ourselves as one of the noted manufacturer, trader, exporter and supplier of Single Core Rubber Cables . The best quality of raw material in a perfect ratio is used to manufacture our offered cables. These cables are precisely tested for tested conductivity, tensile strength by our dexterous professional which helped us to come up with such distinct range. These cables are available in full range of sizes and shapes at industry-leading prices. We bring to clients a comprehensive range of VIR Cable that include electrical and electromechanical welding cables. These Welding Cables are manufactured using various electrometric materials that we procure from reputed vendors. We offer Welding Cables in accordance to the CE specifications and international parameters. TRS Cable that include electrical and electromechanical welding cables. These Welding Cables are manufactured using various electrometric materials that we procure from reputed vendors. We offer Welding Cables in accordance to the CE specifications and international parameters. 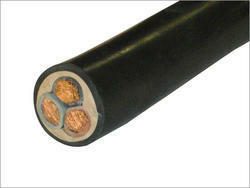 We introduce ourselves as one of the noted manufacturer, trader, exporter and supplier of 11kv Rubber Cable. The best quality of raw material in a perfect ratio is used to manufacture our offered cables. These cables are precisely tested for tested conductivity, tensile strength by our dexterous professional which helped us to come up with such distinct range. These cables are available in full range of sizes and shapes at industry-leading prices. 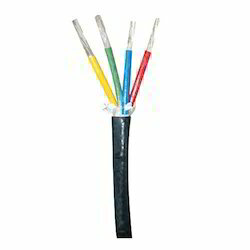 We BHUWAL CABLES are considered to a most trusted named engaged in offering an extensive range of 1.1kv Rubber Cable. Using superior quality of raw materials and contemporary technologies these cables are manufactured. We have a team of well trained laborers who design these cables wires under the guidance of our professional experts. Our clients can avail these from us with various specifications that too at market leading rates. We BHUWAL CABLES are considered to a most trusted named engaged in offering an extensive range of Multicore Flexible Cable. Using superior quality of raw materials and contemporary technologies these cables are manufactured. We have a team of well trained laborers who design these cables wires under the guidance of our professional experts. Our clients can avail these from us with various specifications that too at market leading rates. PTFE Bike Cables This wire is manufactured using optimum grade silicon with the help of high-tech techniques in compliance with set industry norms. Moreover, it is checked for its quality on series of quality parameters before being supplied to our clients. Clients can avail this wire from us at pocket friendly price. We are the leading manufacturer, exporter and supplier of a wide and exclusive range of Cholroprene rubber cable that finds varied industrial applications. Our offered product is available in varied dimensions and sizes & can be availed from us as per the clients' requirements and specifications. In order to ensure the quality and durability of the product, the entire range is tested on various parameters before the final delivery at the clients end, Clients can avail the offered product at market leading price.